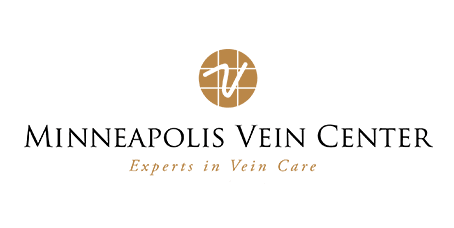 Varicose veins are common and among the most popular reasons residents of Plymouth, Minnesota, and nearby Minneapolis, St. Paul, and parts of Wisconsin turn to the Minneapolis Vein Center for care. Varicose veins often pose no medical problems but are unsightly. For some women and men, varicose veins are painful and can lead to other issues. If you'd like to explore treatment options for varicose veins, schedule a consultation with the Minneapolis Vein Center team by calling the office or using the simple online scheduling tool. Varicose veins are swollen, sometimes twisted, veins that are visible under the surface of your skin. They usually occur on your legs and feet, but varicose veins can also develop in other areas of the body. Veins play a crucial role in your circulatory system, carrying blood from various tissues back to your heart. If you envision your circulatory system as a transportation network, veins are one-way roads. Each vein contains valves that keep your blood flowing in the proper direction. When those valves become weakened or damaged, they fail to function, allowing blood to back up in the affected portion of your veins. That pooled blood causes your veins to swell, leading to the bulging, twisted appearance of varicose veins. Some varicose veins are merely an unsightly, cosmetic concern. Others are painful or may lead to skin ulcers, dermatitis, or blood clots. If you notice varicose veins, schedule a diagnostic appointment at Minneapolis Vein Center. What are treatment options for varicose veins? There are multiple treatment approaches for varicose veins, and your Vein Center provider assists you in finding the best match. This procedure involves a series of tiny incisions to remove varicose vein tissue. No stitches or invasive procedures are involved. A catheter directs a laser or radiofrequency to the walls of the affected vein, which heats the tissue to the point that it collapses and seals. Your body sends blood to nearby healthy veins, reducing the appearance of the diseased vein. This approach involves injecting a solution into the affected veins using a tiny needle that turns the veins into scar tissue eventually absorbed by your body. Compression stockings, leg elevation, weight loss, exercise, and anti-inflammatory medications can all improve the discomfort varicose veins cause. Many women and men attempt these measures before seeking more advanced interventions.